Although it took me a while to warm up to The Warrior Heir, I liked this second installment from the very beginning. Seph McCauley has been in and out of private schools his whole life. He's a good student and charismatic and very likable, but buildings tend to burn up around him. Seph is a wizard but he has received no training and has no idea how to harness and control his power. He is accepted into a boarding school and quickly discovers it is a front for wizards. 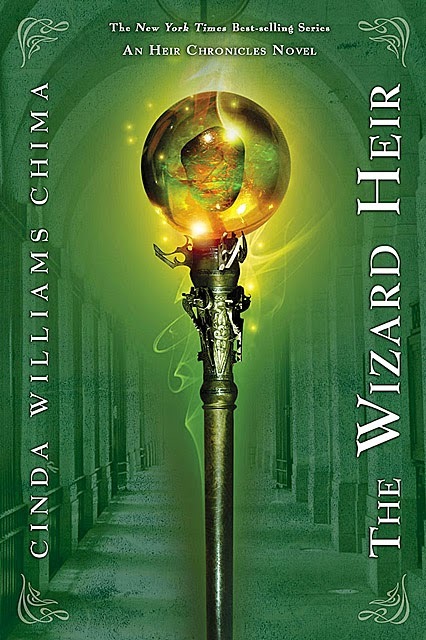 When he refuses to join the wizards' cult, he is tortured until he is rescued by Linda Downey--Jack's enchanter aunt. I enjoyed this book and the fantasy world Chima has created. This one did a good job of furthering the story we know and setting up events for the next book.